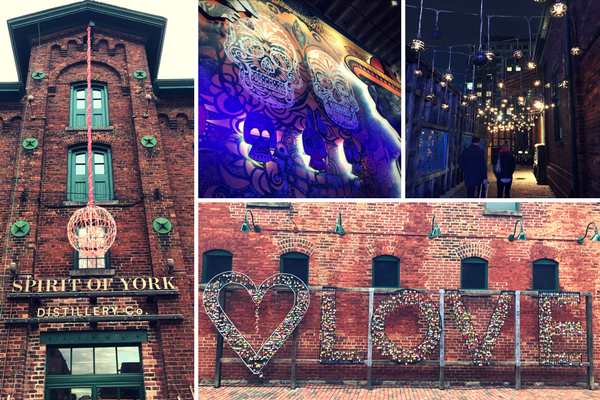 7 must visit spots in Toronto: My ten days in Canada! 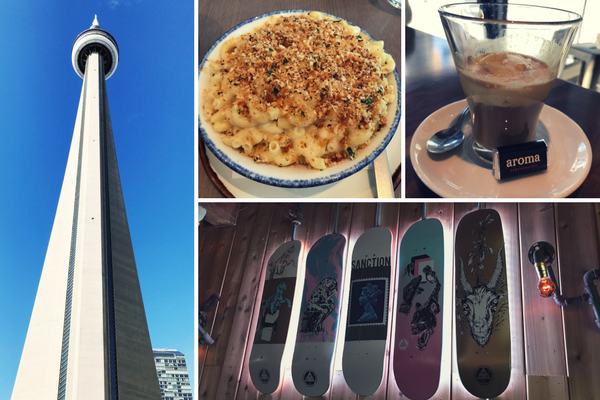 Last month, I made the 8 hour journey from Gatwick to Toronto Pearson International in search of snowboarding, sights and snacks! I had 9 days in Toronto, Canada to do and see it all, and the trip certainly didn’t disappoint! Although Toronto is predominately a city, the beauty of the surrounding areas make up for the potholed jungle that it is. 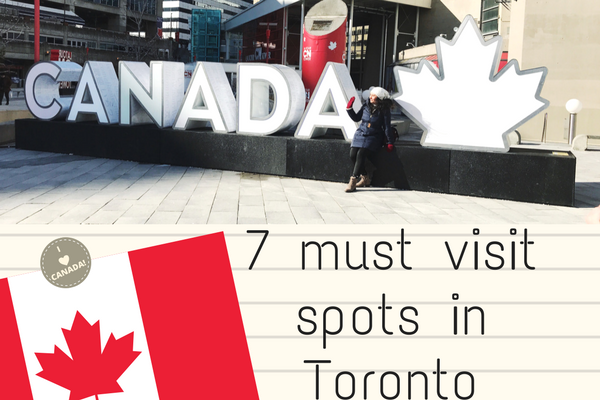 So if you’re heading there or ever wondered what there is to do in the area, below are my 7 must visit spots in Toronto to check out. 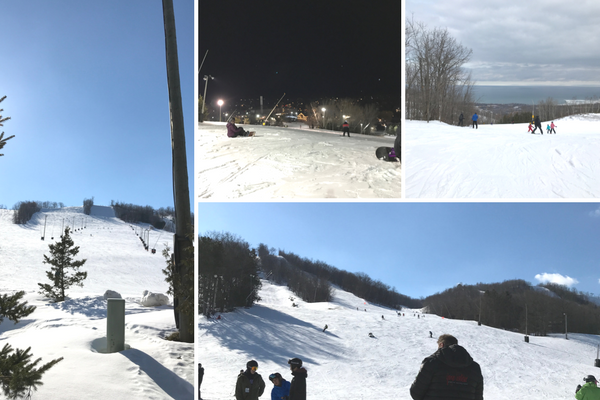 Just 2 hours from the city centre, you’ll find the impressive Blue Mountain Resort, a haven for Skiers and Snowboarders alike. With 43 runs, ice skating, snowshoe tours, hiking and tubing and sleigh rides available, everyone from complete beginners through to the black-run pros will have something to keep them entertained! Never been on a slope before? No problem! Book into their snow school to learn the ropes, there were plenty of people learning. It might be an expensive pass time, but it was such fun!! 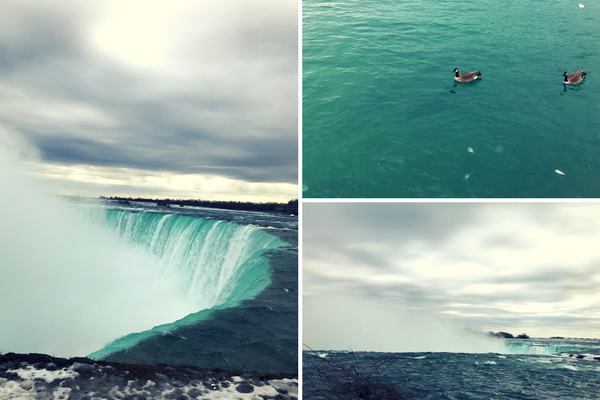 Okay, so the day we went, it decided to POUR with rain, then brighten up, then mist over and be generally dull and grey for the best part of the afternoon, but of what we did (could) see of the Falls, they were beautiful and oddly peaceful. Taking a walk alongside the banks, over the walkways and peering out at the vast expanse of water was calming and I actually felt like I cleared my head just walking and taking it all in. I’m not the only one in the APS team that loves a food post, so I obviously had to include a trip to somewhere gastronomy plays a big part! 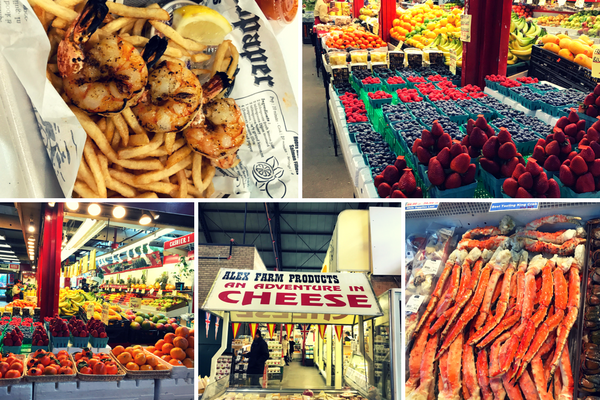 Hence an afternoon strolling the lanes of St. Lawrence Market. Cue exceptionally large crabs, rather expensive cheddar (think $18 for a standard block ) beautifully fragrant fresh fruit and veg and the juiciest king prawns I have ever tried. There were plenty of stalls offering various collections of confectionary, worldwide cuisine and of course, bread! 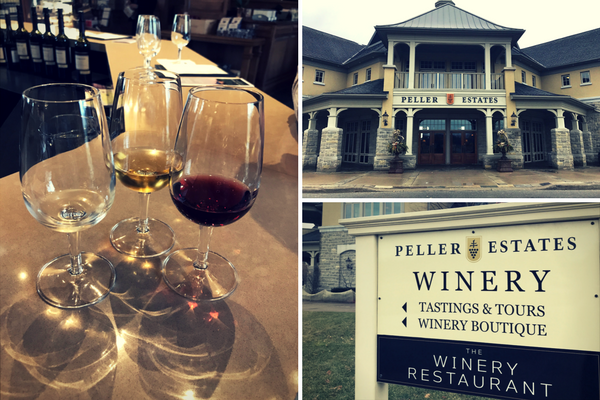 We wanted to add a little class to our trip, so where better to head than the impressive Peller Estates Winery? Not only did we enjoy a wonderful fine dining experience, wine tasting was only $8 per flight (sampling 3 wines at a time, hic) so we got to sample a few! The gimmick aside, it was very interesting to learn about how the wine is made, the difference between the grapes and why Ice Wine is so expensive. The district is full of quirky eateries, cute gift shops and quaint chocolatiers. The paved walkways are lined with interesting art and sculptures, although getting a decent photo of them is hard, unless you’re prepared to wait your turn with 20 other Instagrammers..! If you love Mexican food as much as I do, head to El Catrin for the yummiest fish tacos, guac and mojitos in Toronto! The Planet Jellies gallery was one of my favourite things about the aquarium, you could spend ages just gazing at the ever changing backdrop whilst the jellyfish happily danced. This came after an underwater tour along a moving walkway; catch a glimpse of the sharks, rays, sea turtles and the rest of the beautiful sea life along the way. Want a truly immersive experience? 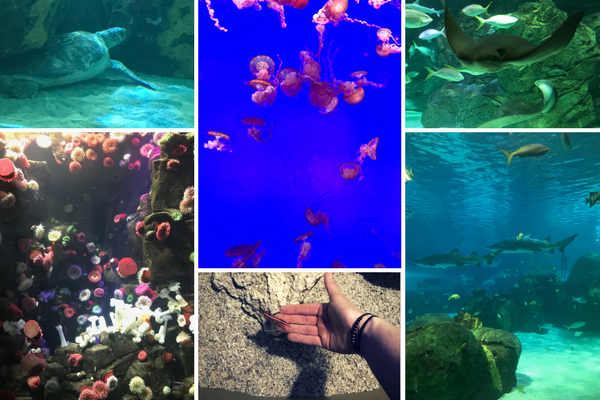 There are opportunities to stroke the manta rays and get up close to the sea shrimp which, if you’re not squeamish or ticklish, is great fun! Honestly one of the most fun activities we came across! 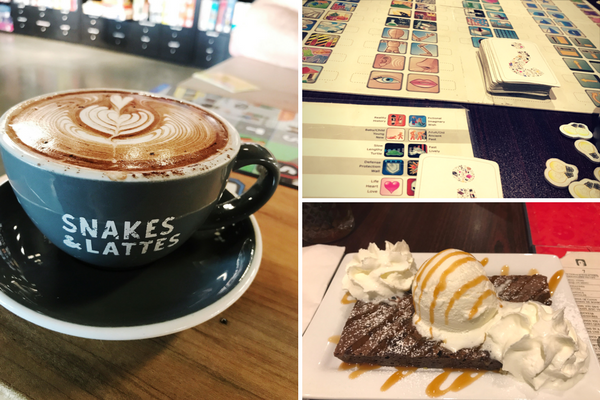 Sit down with a beer, nachos, brownie or hot chocolate, grab a board game and play as long as you like! Imagine being in a library for board games; stir up your nostalgia with your favourite childhood game or ask your dedicated Game Master to recommend a game based on your interests – they’ll even walk you through how to play which is far more useful than sitting down to read the convoluted instructions! A couple of other things to check out if you have the time include the CN Tower, climb to the top of the 500 meter high building and take an edge walk if you dare! If you fancy a little less adrenaline, head to El Furniture Warehouse on Bloor Street West for a cheap bite to eat in a relaxed bar, try some actual Award Winning Mac’n Cheese at Soco or sit back and people watch with an Affogato at Aroma Espresso Bar. Oh, we can tick off one of the team’s Travel Bucket List destinations!